Home » Insurance » Manulife loses “want of prosecution” application. Manulife loses “want of prosecution” application. On May 30, 2011, the BC Supreme Court decided that Manufacturers Life Insurance Company (“Manulife”), successor to the Aetna Life Insurance Co. of Canada (“Aetna”) was unsuccessful in its application for an order dismissing an applicant’s action for want of prosecution. The decision is reported at: Toor v Aetna Life Ins. Co., 2011 BCSC 691. In 1975 the applicant, Harbans Toor purchased a policy of long-term disability insurance from Excelsior Life and the policy was eventually acquired by Manulife. In the action, Mr. Toor claimed, among other things, for benefits under that policy. Mr. Toor had been injured in three separate motor vehicle accidents in 1997-1999. In 1999 he claimed disability benefits under the policy. Further benefits were denied in February 2000. In February 2001, Mr. Toor commenced the action by way of an endorsed Writ of Summon. In January 2006, Mr. Toor settled all of his tort claims. Between October 2006 and August 2009, Mr. Toor delivered a notice of intention to proceed on two separate occasions and ultimately filed an amended Statement of Claim. Manulife, in the name of Aetna, brought an application for dismissal of Mr. Toor’s action for want of prosecution. 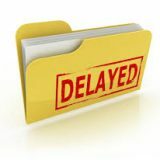 The delay has caused, or is likely to cause, serious prejudice to the applicant. If those tests are met, the court must go on to consider whether or not the balance of justice demands that the action should be dismissed. In this case, the parties agreed that the delay had been inordinate. The real issue was whether or not it was excusable. The Court reviewed the evidence with respect to the “first phase” of the action while the underlying MVA tort claims were ongoing. During that time, counsel for the disability insurer had been kept apprised of the progress in the tort claims. In reviewing the communications, the Court agreed that they appeared to suggest something beyond mere acquiescence by Aetna with respect to failing to pursue the disability claim. The Court noted that the communications indicated that the defendant had an interest in waiting until the tort claims were resolved with ICBC, so that Aetna would know the extent of its possible exposure. The second phase of the delay came following the settlement of the underlying MVA actions. Counsel for Mr. Toor reported himself to the Lawyers Insurance Fund for potential negligence in September 2006. This report resulted from the possibility that the lawyer had settled the three MVA claims for an amount that was inadequate based upon the false conclusion that Mr. Toor would be entitled to disability benefits under his disability policy until age 65. In reviewing the circumstances of this report, the Court noted that the documents from the insurer which had been in Mr. Toor’s possession at the outset of the case could give the impression that benefits would be available until age 65. It was not until Mr. Toor received a further document in August 2006 that it became clear that Mr. Toor was only entitled to two years of disability payments and not to payments to his 65th birthday. The difference was considerable, on the order of $200,000. Given the involvement of counsel from the Lawyers Insurance Fund and the background, the Court agreed that the delay relating to the second phase of the action was excusable. The Court further noted that matters had not been completely static over the last two years as the case had moved along in a slow and halting manner as amended pleadings had been filed and particulars demanded and delivered. The Court went on to review whether or not Aetna had suffered any prejudice. The Court noted that Aetna was a sophisticated and experienced litigant and it was more than likely that documents, communications and records had been preserved throughout the life of the proceeding. Therefore, in the absence of any evidence from Aetna establishing prejudice, the Court concluded that this factor favoured Mr. Toor. The Court also concluded that the balance of justice weighed in favour of Mr. Toor as he was clearly an individual who had been damaged by events not of his making. He had been reliant on professionals and institutions to deal fairly and equitably with his claims. The Court concluded that he should not be deprived of access to the Court in the circumstances of this case. In the result, Aetna’s application for dismissal of the action for want of prosecution was dismissed.